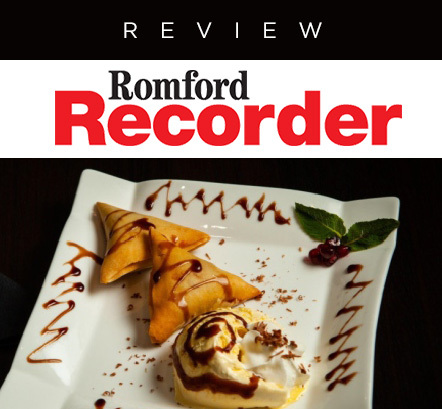 So when me and a couple of colleagues were invited to taste the delicious food at Tandoori Lounge, High Street, Hornchurch, on Tuesday, we were beyond excited to tuck in. Honey Uppal, who owns the restaurant with her husband Sukh, welcomed us to the stylish venue where we were first presented with masala papadums sprinkled with onion, tomatoes and coriander, before the sizzling Tandoori Lounge special platter. This was when we first realised that this was going to be like no Indian food we had tasted before. From the pan roasted salmon, to the succulent chicken and lamb, everything was full of flavour.